RICOH IMAGING COMPANY, LTD. is pleased to announce the launch of the GR II Silver Edition to commemorate the 80th anniversary of the foundation of Ricoh Company, Ltd. This exclusive package consists of a silver-color edition of the GR II high-end digital compact camera (launched in July 2015) and an exclusively designed camera case. It will be marketed in a limited quantity of 3,200 units worldwide. ã�»The camera body has a stylish, high-grade, silver-color leather-tone finish. Its exterior coating features an elegant, grained texture created by spraying droplets of a coating material onto the camera body. ã�»The package has distinctive features creating a sense of exclusivity different from the standard GR II model: the shutter release button and the ring cap have been finished in silver identical to that of the camera body; the lens description are engraved on the front ring using a diamond-cutting process; the GR logo's color on the camera's front panel has been changed to white; and the product box has been specially designed for this package. ã�»When the camera's power is turned off, the camera displays an original termination screen, which has a solid, high-grade design expressing the GR II's product concept. ã�»The package includes a black, genuine-leather camera case exclusively designed for the GR II camera body. It provides some features useful for quick-action snapshot photography, including a belt loop on the back, and a top cover that opens fully for easy removal of the camera body. 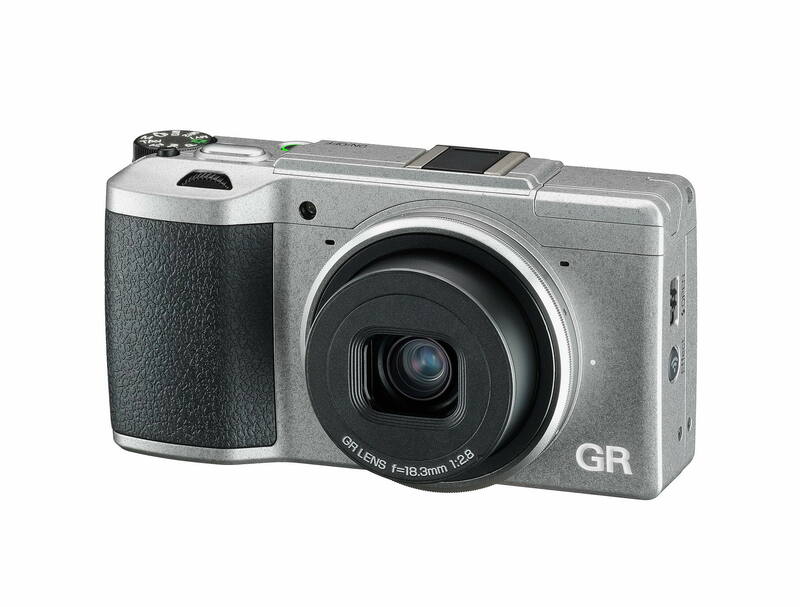 â�¦ The camera's specifications are identical to those of the standard GR II model. â�¦ The design and specifications are subject to change without notice.